We have heard and maybe seen CCTV cameras. But do we actually know what kind of work it does? 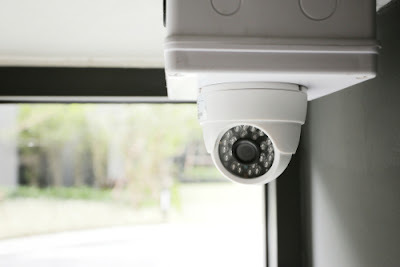 A CCTV or closed-circuit television camera can be seen in many places today. These cameras can mainly consist of two types, either an analog still camera or a digital video camera. These cameras are used to transfer images to any location. They are hidden in shops, malls, subway and train stations, offices, airports, government buildings, elevators and so on. Pictures and videos are recorded for monitoring purposes. The videotapes can be played later if there is urgency. The protection of home, business, and office from burglars was the main concern of the people. But nowadays, an accident can happen anywhere, anytime. And do not talk about terrorism! Safety is in high demand in this scenario. You will never know what misfortune will happen to you, but at least you can be vigilant from the outset to avoid unnecessary consequences. These cameras will keep track of events in each location and supervisors will keep an eye on the screen. They will alert the officers immediately if they suspect something wrong. Buying and installing a CCTV camera in your office is very important. Why do you Need office CCTV? Your office is huge and spacious. Your company has hundreds of employees. Of course, you have security guards at the main entrance and gates with metal detectors, but are they enough for your security measures? While you plan to buy office equipment that decorates your office space, CCTV cameras should be at the top of your list of priorities. This is an important topic and should not be ignored. As office equipment, these small appliances can be installed at all entrances and exits, at the end of long corridors, elevators, canteens, in front of washrooms and stairwells. There must be a control room where experienced staff can control the angle and opening of the cameras. You need to be an expert in this field to provide you with an excellent service. 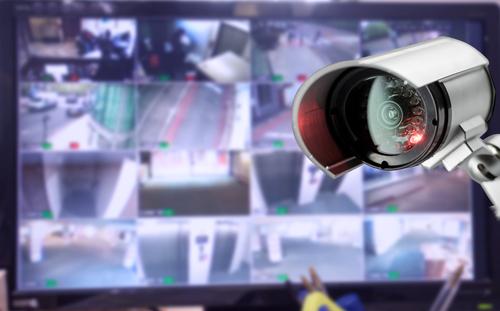 The benefit of using a high-quality CCTV system - such as Avigilon CCTV - is that this type of equipment not only prevents items from being stolen or destroyed in the office but also protects personnel from attacks. Such a security system acts as a deterrent to prevent attacks or other behavior in the office, which means providing employees with a level of protection that, would not otherwise be available. In addition, recorded footage can also be used to verify employees about poor workplace behavior. It can help prevent aggression towards employees and customers (and help them feel safe in their work environment), protect your product and income, and protect sensitive information. It is therefore not something to miss, and luckily there are many different precautions that you can take regardless of your business. Another advantage of installing a security system in your office is that you can lower your insurance premiums. As reported recently in regional British news, customers who make false claims about employee misconduct can have their claims verified by the company and held responsible for damaging unjustifiable allegations. A system like Avigilon CCTV not only provides the ability to audit such claims but also prevents fraudulent litigation with your business and reduces the insurance premiums you would have to pay for the increased risk of potential harm. 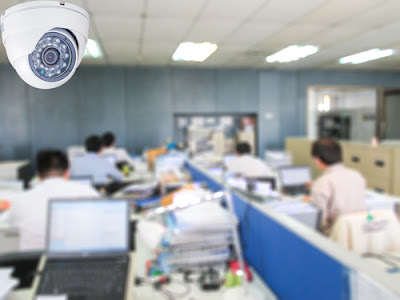 CCTV is also valuable for the safety and health of workers at work. Although these are usually considered to be a crime prevention measure, the use of these monitoring systems can actually ensure that staff complies with health and safety regulations to protect the workforce and avoid potential accidents and injuries. Office CCTV also provides benefits to your business - studies have shown that people with safety equipment are more professional than competitors without similar on-site installations.Using a high-quality system such as Avigilon CCTV can enhance this "premium" perception. In addition, customers can feel safer in their business premises. Similar to employees, the presence of surveillance cameras can help them feel more comfortable in a riskier environment such as a bank or a jewelry store. Footage from a system like Avigilon CCTV can also be used as a training center for employees, using videos with the correct protocol as a positive example to the team or clips of suspicious customers training staff to prevent theft in places like a retail environment. are looking for office CCTV and don't know where to get them?CCTV cameras can be purchased in electronic stores. The online sites also show images of various kinds. Prices vary by model and brand. The price of these cameras goes to your pockets. Find a technician as soon as possible to set up these hidden cameras in your office. These record the events of the entire day and can be viewed later on demand. When purchasing office CCTV always looks for some elements described underneath. An important aspect of office CCTV installation is to compress large video data into a format that can be easily stored or transmitted. Compressed data must go through the reverse process for viewing. By standardizing this process, different devices can work together efficiently.